← Ireland’s most revered ancient landscape. 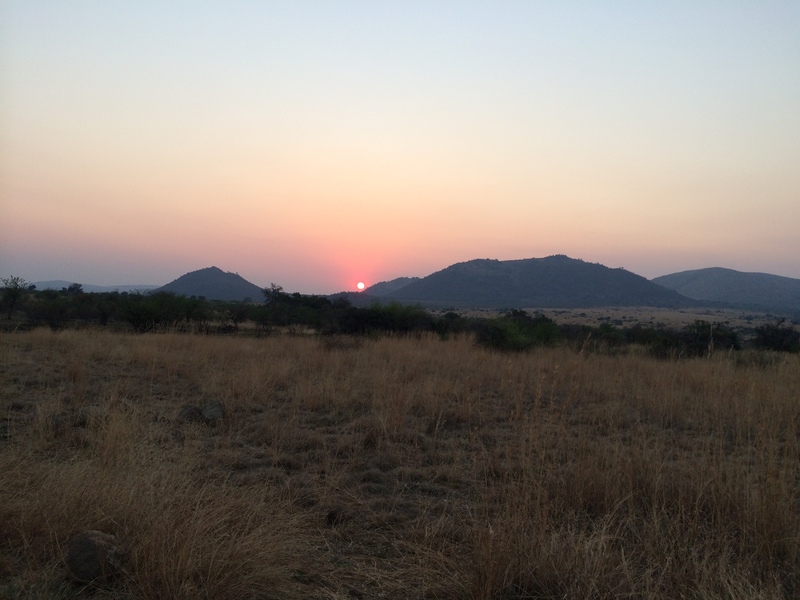 The Pilanesberg National Park is situated in the ecologically rich transition zone between the dryness of the Kalahari and the lushness of the lowveld, here in southern Africa. 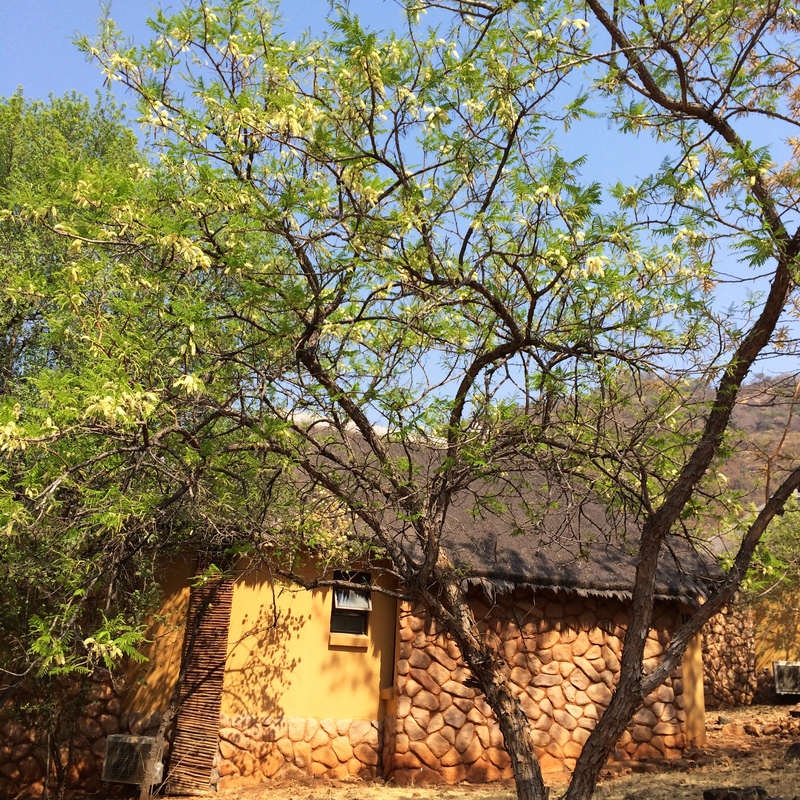 Although the rains have not arrived here yet, Spring has certainly burst on the scene with the flowering of the camphor trees, acacias and wild pears. 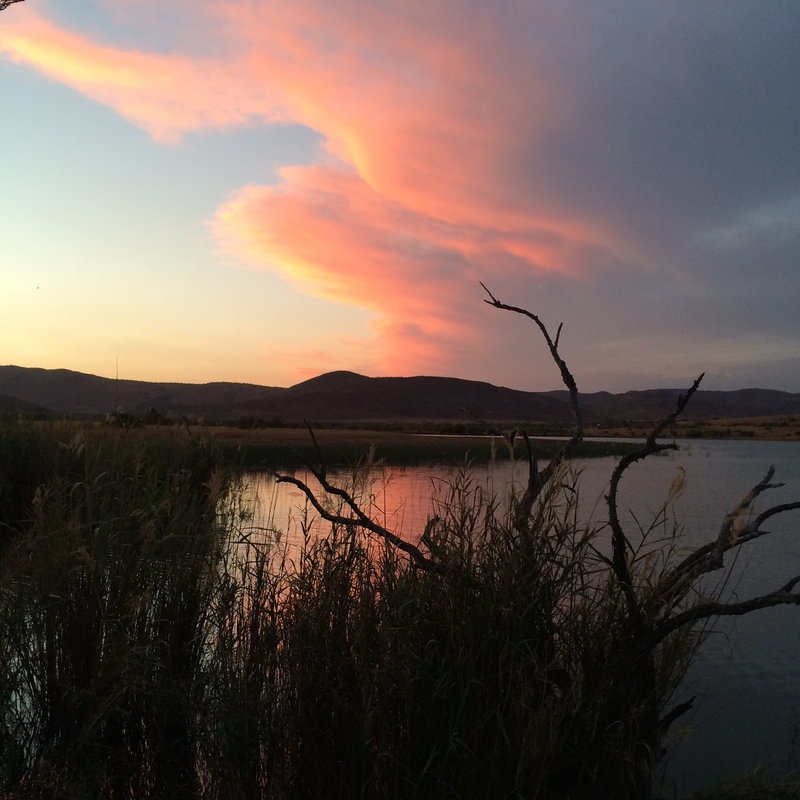 It was here in South Africa, whilst working on archaeological sites in the bush, (the Pilanesberg itself is rich in Stone and Iron Age sites), that I developed a passion for South Africa’s rich flora, as well as its birdlife and fauna. That set me on the road to studying Horticulture and Garden Design, something I had been doing as a hobby before, on my return to England ten years later. 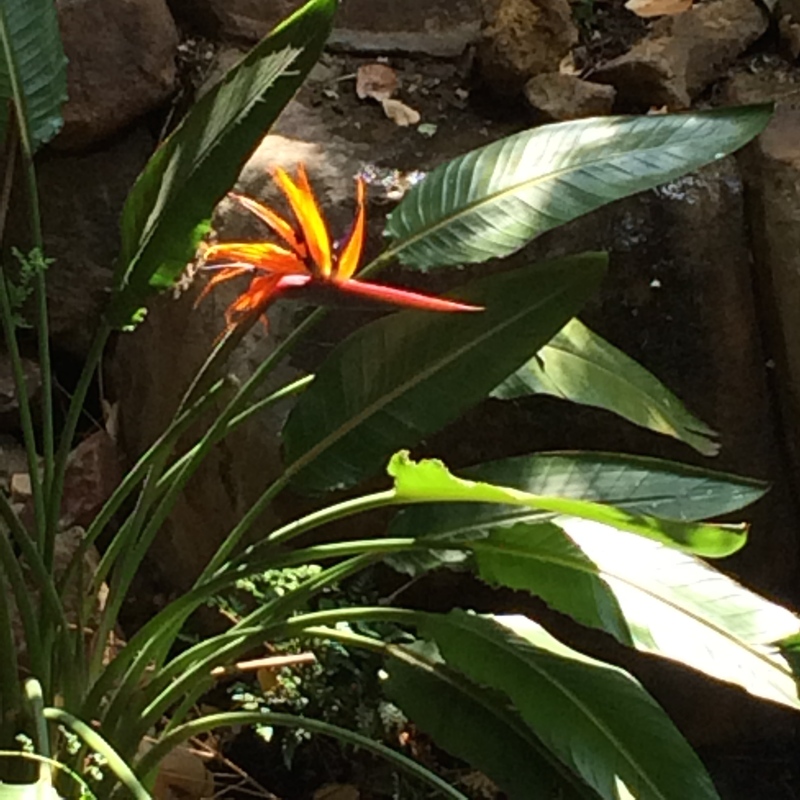 Strelitzia regina, “Bird of Paradise” flower by the Lodge. The beautiful Pilanesberg is set within the crater of an ancient volcano, dating back 1.2 billion years ago, giving the landscape great beauty with rocky hills covered in the fleshy blue green mountain aloes and the candelabra nabooms (Euphorbia ingens). 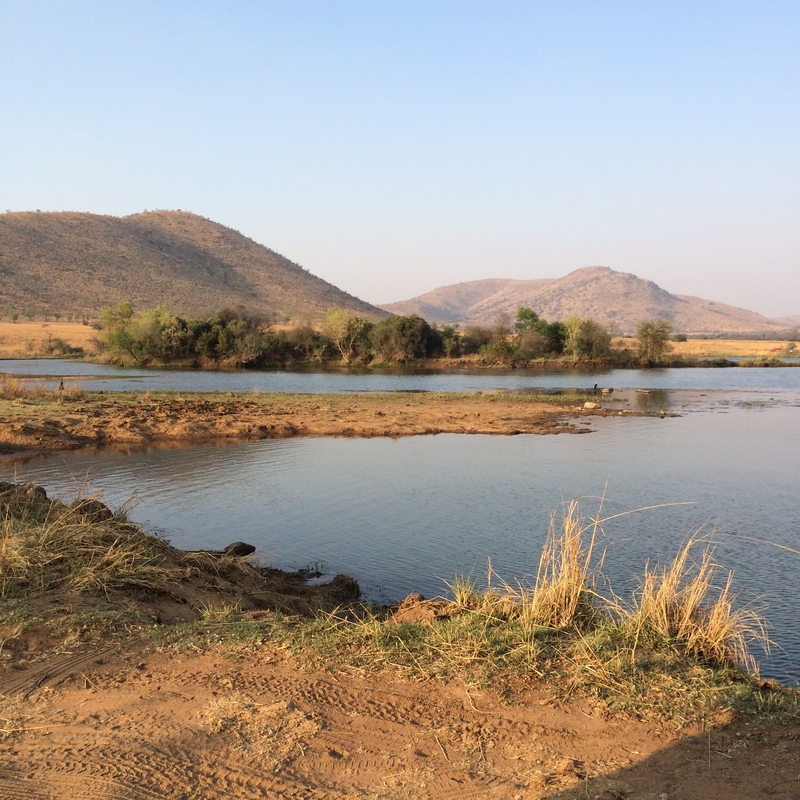 A great dam was constructed, the Mankwe Dam, filling up the crater – the water in this arid landscape attracting a variety of birds, cormorants with their outstretched wings, ibis, geese, kingfishers and fish eagles. Crocodiles sun themselves on the banks, and game wander cautiously down to drink – wildebeest, impala, elephant and zebra, as well as jackals, brown hyenas, cheetahs and lions. Many of these species were re-introduced to the Park from 1979 onwards, Operation Genesis, when 110km of game fence was put up. It is incredibly tragic how each year the number of rhino slaughtered throughout southern Africa has increased. Recently 17 more anti-poaching Rangers have been trained from the local community. On one morning, two Rangers swept past us in a Land rover and the heavily armed blockade of the road later, suggested another rhino had fallen victim. Perhaps one of those we had seen the day before. There is a white haze throughout the landscape as camphor bushes flower; inhaling smoke from its burning leaves is said to relieve headaches and blocked sinuses. 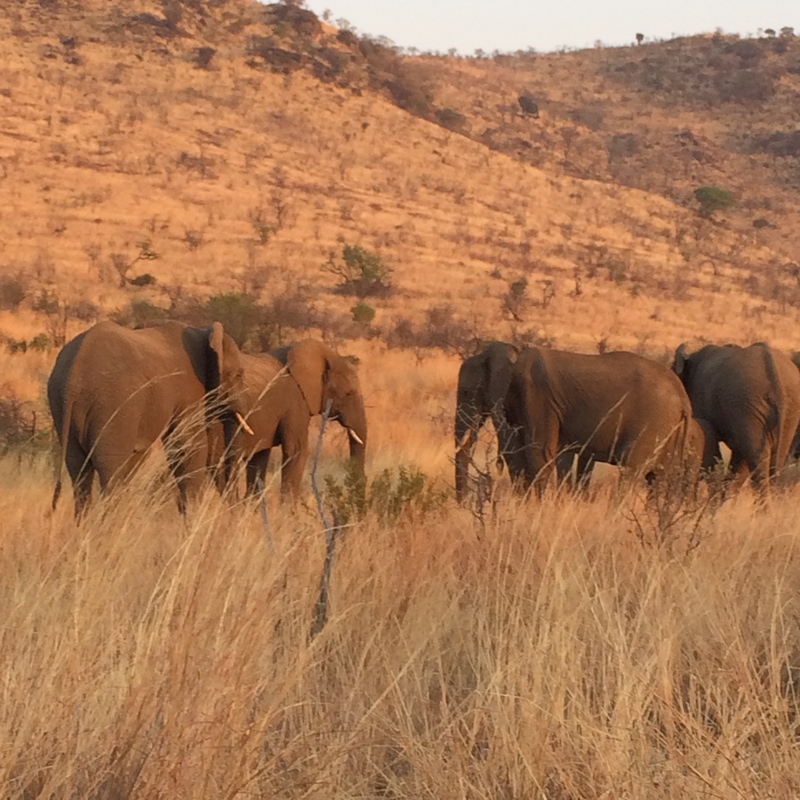 There are Marula trees, their fruits will ripen later and are extremely rich in Vitamin C. They are used to make a delicious liquour, Amarula, and are a great favourite of elephants who become intoxicated by eating the fermenting fruit. The seed kernels are rich in protein and fat and the bark is traditionally used in the treatment of malaria. 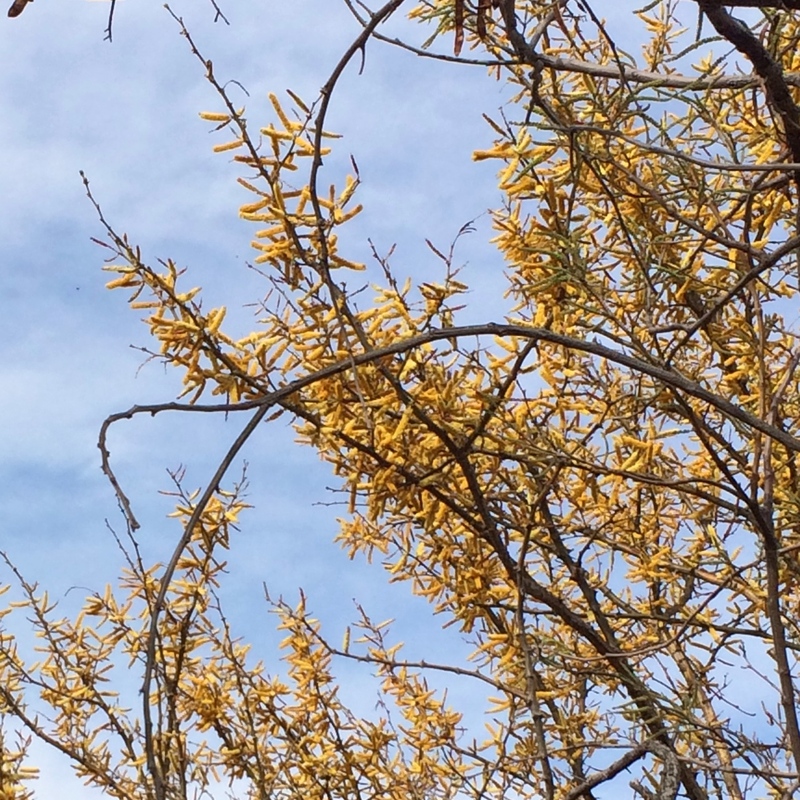 The trees surrounding our lodge have burst into flower, the scent filling the air – mimosa, wild pears, and the wild seringa, with its pendulous spikes of scented white flowers. There has been no rain here for five months, the air is dry, dust flies up from the roads, our boots, clothes and hair covered in a film of red earth each evening. We spotted a Burchell’s Coucal in a tree one morning; also known as the rainbird, his call is said to herald the arrival of rain. But he was very silent. On Saturday night, Johannesburg, two hours drive away, had its first rain, a torrential downpour. Ireland’s green fields seem a million miles away. Thanks for another great tour! Very interesting, I enjoyed your post. Many thanks – really glad you enjoyed the post, always good to get feedback! The pictures are breath taking. I found this post interesting and educational. I did not know that Africa inspired your interest in horticulture and garden design. I could see how Africas flora and fauna would be mesmerizing and awe inspiring. Thank you for the wonderful tour. Thanks Honey – lovely comment! 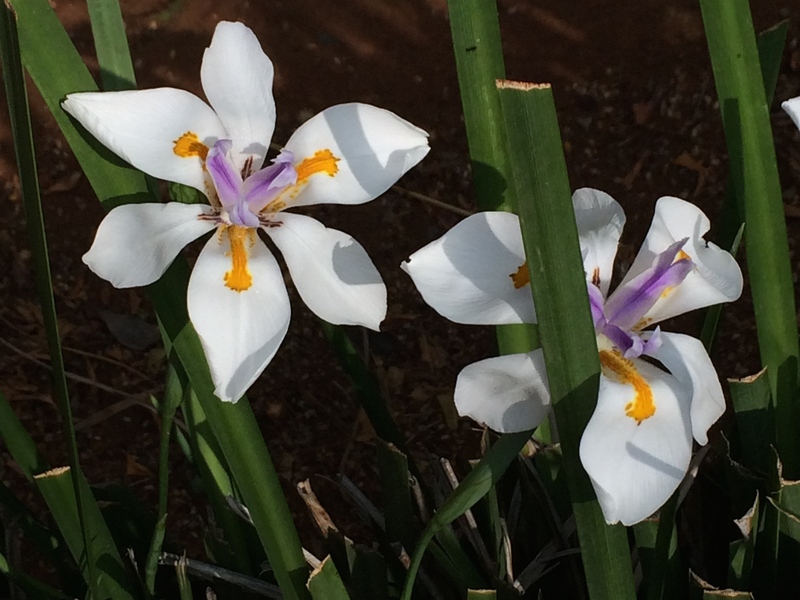 My father, and grandfather, were keen gardeners and I learnt a lot from them, but a real understanding of the diversity of plants & how they thrive came from my time in SA. Really glad the post was interesting. Amazing pictures! The contrast to the Northern latitudes is just extraordinary: it makes you appreciate each landscape even more. Thankyou for the tour. Matt, thanks so much .. glad the photos conveyed it. Hot, dry and dusty is a long way from home but very beautiful in its own way.